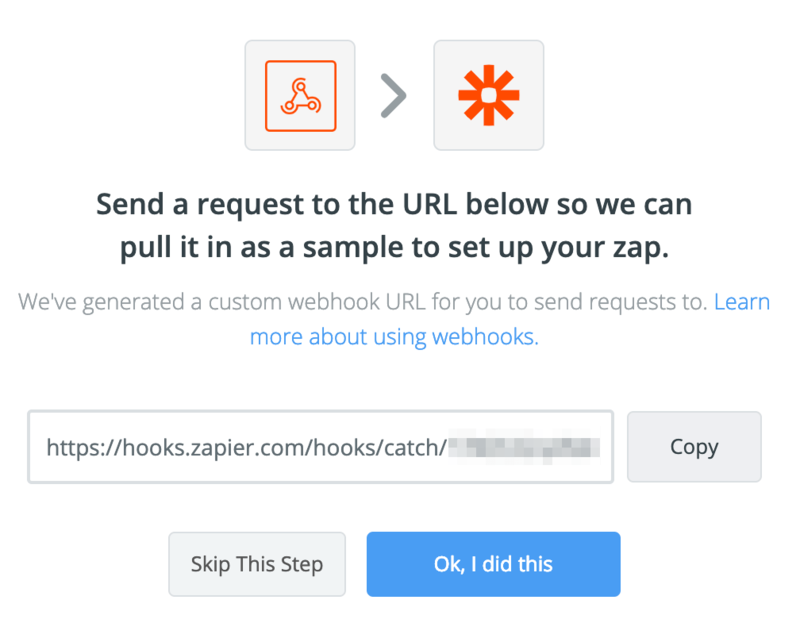 Our Sync to Webhook option is perfect to automate workflows on Zapier.com for your newly captured screenshots. With the Catch Hook option in Zapier, you have tons of options what needs to be done when a new Stillio screenshot is created. A Zapier account needs to be created up front. Though you can get some basic functionalities with a free Zapier account, our examples are based on a paid Zapier subscription as this offers premium apps and multi-step action which lets you benefit most. Which Zapier subscription plan is best for you depends mostly on the number of Zaps you want to create and how many tasks you need to run. For example, syncing a screenshot costs at least 1 task per screenshot, or more if you have defined multiple Zapier tasks per screenshot. Once you have created your Zapier account, you can Make a Zap to define which task(s) need to be performed when a screenshot is created in your Stillio account. 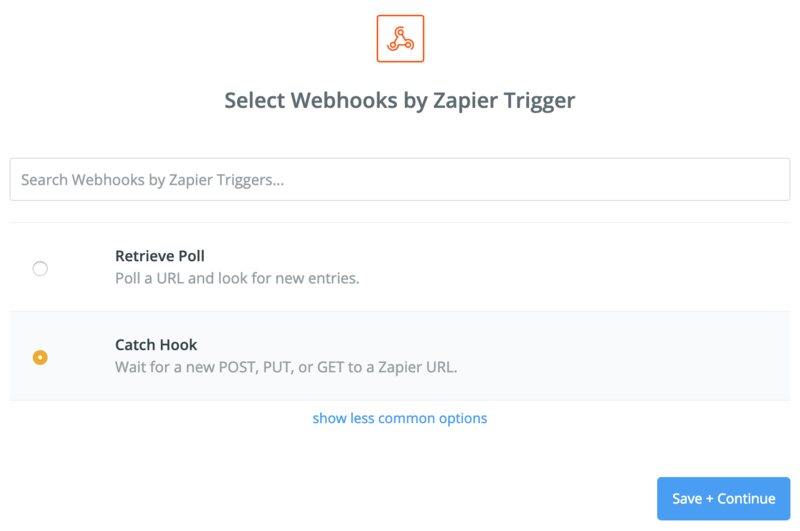 To set up this first step, use the search box to find the "Webhooks by Zapier" app. Select the "Catch Hook" option as shown below. In the next step, leave the optional "Pick off a Child Key" form empty and click "Continue". The webhook URL from the previous step needs to be added to your Stillio account. Go to the Apps section in your account: https://app.stillio.com/settings#/apps. Click the "Configure" button for the Webhook option. A popup is shown where you can paste the Zapier webhook URL from the previous step. Before you can continue in Zapier, you need to create a screenshot in your Stillio account. 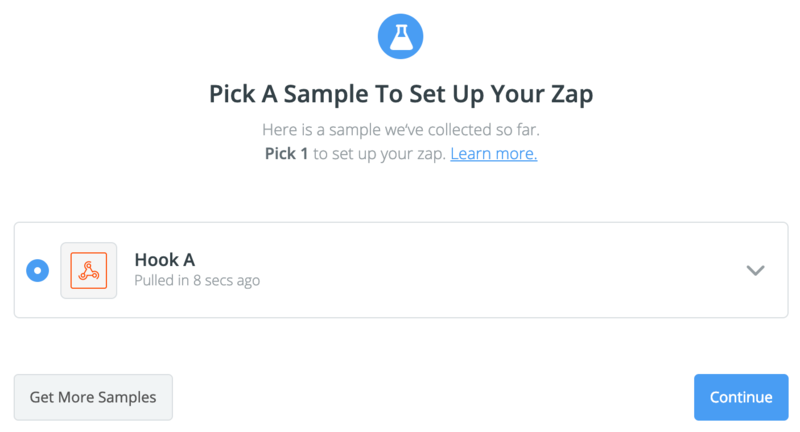 This will trigger sample data to be sent to Zapier which you need to define actions. Add a web page to your Stillio account and set Starting to "Now" and click "Add webpage"
Edit an existing web page in your account and set Starting to "Now" and click "Save Changes"
Most times, a screenshot will be created within a minute. Go back to your Zapier account to continue the Trigger setup and click "OK, I did this". To see the payload, click the down arrow for "Hook A". To learn more about the formatting and labels of the data, check the Stillio webhook API docs. Click "Continue". Your Zapier trigger is now ready to connect to an action. In other words: What do you want Zapier to automate for you? Zapier offers hundreds of apps you can choose from.